It's a great online platform that integrates project management with messaging platform to enhance teamwork operation and collaboration. It has many subscriptions option according to functions that you need. You can pay it monthly or annually. If you need test the platform, you can create a free account that allow you to manage two projects with access to basic features. The interfaces it not friendly. Dashboard is focused only in task and doesn't include generic status for every resources. Gantt charts are available through reports only. with an online project management, team member doesn't need access to local network for update project file. Additionally, every user receives notifications about task and resources assigned. "Great software, lots of tools, needs improvement on usability. " I love how there are SO many features packed into a great online tool. From saved list templates to easily communicating progress with teammates. We use the timer quite a bit to track project hours and keep us under budget. We also like how there are many options when creating a task: making it dependent, recur, estimate time, assign multiple people, add links, etc. We are looking forward to the improvements to the resource management aspect because we have both full and part-time team members. The overall user experience is a bit muddled and has taken my team a long time to learn how to use the software properly. The most frequent question I receive is 'how do I see what is due this week/day?' And 'where can I find X'. The dashboards helped but quickly accessing key projects still eludes us. We also love the boards feature but do wish there was a way to add tasks and reference projects in one single board. This would help greatly with assessing current projects and upcoming opportunities. We always say to those who ask about it that it is a great software but it has a steep learning curve. Organizing multiple project types and schedules in one place. We've realized by having a tool that can 'pretty much' do it all it helps us stay focused and help us actually use the software. Our team is remote some days and it helps to be able to track where all-the-things are in an online format (and not a whiteboard at the office). It's very easy to use! They send out monthly updates to the platform, so it's not a static product, which is important us. We've been using it for over 5 years. We have several departments working on this platform, and it allows us to work together across the entire company in one place! My team specifically uses it to stay on top of our day to day tasks as well as long term goals. We only use it internally. We do not use the platform to work with other companies. One feature I dislike is when you have a master task with several sub-tasks, adjusting the date of the master task affects all sub-tasks. Do the trial. Really give it your all. Get early adoption to the platform from all members. We have a lot of ideas and projects. There was a lack of accountability that Teamwork fixed for our company. Highly recommended! The software is great already and they continue to improve it all the time. I used Teamwork Projects at my previous company for several years, and then when I transitioned to my current company I was charged with selecting the project management tool we would use. I spent some time reviewing the other options just to make sure I wasn't missing any better alternatives, and I even tried a couple of free trials, but nothing came close to the value and ease of working with Teamwork Projects. The team is happy with my choice to continue working with this tool, and it's helping us do great work! "The first PM tool I like more the longer I use it"
I love having start and due dates on tasks. I love have time estimates on tasks. I love being able to assign a task to more than one person (not just assigning multiple followers, which you can do as well). It took a while but I've come to love the dashboards. I love the Harvest Time Tracking Integration. I'm begining to love the HubSpot integration too. After looking at Redbooth, Asana, Avaza, BaseCamp, Jira, Trello, Podio, Wrike, MavenLink, Dubsado, Monday, and more... of the course of years. Many of which I "loved at first" and grew to hate, Teamwork Project is the one I actually like even more today than when we started using it. Unlike SifterApp (which we otherwise love) and Asana/Trello (which we sort of liked), Teamwork Projects is a full features PM tool with a project space that can keep digital files together (gDrive/Dropbox integrations, or direct upload). Timelines and charts... all the stuff you want for major projects, but it's still easy enough to use. Two big things. First, I wish the time reports worked properly with Harvest Time Tracking. While you can have both enabled, there is no syncing between the two so it'd but super confusing. Use one or the other. Second, we have used and loved SifterApp where you can comment and in commenting assign the issue to the next person that needs to act on it. I live tht behavior and am always frustrated I can't do that commenting on taks in Teamwork Projects. You have to comment, and then seperately change the owner, status, etc..
We've bounced through a lot of PM tools, we really feel in love with SifterApp but the lack of a "project space" really hurt us. Teamwork really hits all our needs from records managment (attaching design files, contracts, etc..) and timelines, planning, monitoring and time tracking. "Customer for over 5 years- love it"
I have tried many project systems, and still keep an eye out on the different options available. I love that it does almost everything we need, intergrates well with most things using Zapier, and has a great pricing structure. Cost effective and well supported. Totally scalable - Worth trying. "Best Project Management Tool Ever!" I like the company's overall approach to growing their software produce. The features continuously improve, and TW is very open to customer feedback for new features. Also, the few times we encountered bugs (when the new version was initially released), the bugs were received politely and resolved quickly. I don't think that I have any dislikes. There are perhaps some feature requests that I wish would be prioritized, but no dislikes. The platform has continued to meet and exceed our needs and expectations! Teamwork is a great platform that can be customized and that will scale to meet your growing needs. The platform is continuously being improved with both enhancements and completely new features. I have used many Project Management solutions working in digital agencies for the past decade+, and Teamwork is my favorite tool to work with. We are a software development company. We manage both new development projects, and existing client maintenance through the system. Some of our more savvy clients even use the system to directly enter requests for our team. The benefits have been in our ability to organize and track our projects / progress. It is an invaluable tool in our project workflow. It's awesome how the projects and tasks are set up and all the actions you can take on them to keep things logged and up to date and organized. I always know what I need to work on that day and what is most important. It is also easy to quickly address hot projects that come in and let my team know if I need more time to complete something based on what is already tasked to me. I do wish there was a calendar view of all the tasks assigned to you so you could see the density on how stuff is assigned and when so it's easier to work ahead. However the late, today, and upcoming tasks do atleast help a bit.I see there is a calendar view of projects and stuff but since it spans so many people its hard to see just what is important to my job with that view. So something like that included for tasks would be stellar. Just spend time familiarizing with where things are. Come up with a consistent plan on how to log information important to your company. Then just make sure you put everything in as it comes in and youre ready to take names and kick butts! We don't lose track of anything because it is all on teamwork. We can set reminders for things that arent immediately actionable and easily break down larger projects into bitesized pieces so that we can hit targets on time and with high quality. It also is easy to implement our remote work policy because we can track time and see what has been worked on when and if we need to adjust budgets because of man hours required on something which is great since I'm a designer and time is really the best way to quantify how expensive something is going to be for us to make. "Good program for managing marketing projects"
Features that I like best about Teamwork include the ability to separate projects into various different categories, and then to have an additional layer of "task lists" within each project area, so everything stays very organized. I also like the ability to create task dependencies so various people working on a project know when they can start their part of it (once the previous task gets checked off). Creating task templates for projects that we do often and that have similar tasks is also great, and the ability to set specific timeline for each of them (and to skip the weekends) makes getting those frequent tasks into the system very easy. Finally, I like the ability to view all the projects that my team is working on with great view/sort/filter features like the calendar view, view by project due date, view by team member, etc. The only down side that we have found so far is that the feature that allows you to "skip weekends" when assigning a task list from a template doesn't carry over if you change any of the due dates. So, for example, if initially you have a task due on Day 3 and that would be a Saturday, the program will push that to the following Monday. If I go in and change the previous task to be due on a Friday, the "skip weekends" feature doesn't translate, so the next task might get assigned to a weekend. Review the features and test it out with a trial run to make sure that it supports what your team needs. We have a small team with a lot of responsibilities and Teamwork allows us to manage all our projects in a single place. It also allows us to communicate, share files and other things essential to completing our work. "Teamwork Helps Us Track Info We Need at Our Fingertips"
I like the ease of setting up templates and creating Projects from the templates. I can then create a visual dashboard (Grid View) with tags that allows anyone with access to know very quickly where the Project is at any given moment. I also like being able to track emails and other messages as part of the Project. This has help on numerous occasions when files were automatically added to the Project. The reporting is also a valuable way for me to share Project updates with other team members. The daily emails with my task list help me setup my day efficiently. I would like to have the Project logo displayed on the Grid View. I would also like to be able to add messages to archived projects without having to make them active. Communication and awareness of where Projects are in the process. Tracking of essential information related to Projects. "Seriously the best support I've ever had from ANY product or service"
I ask quite a few "how do I do this" and "wouldn't it be neat if Teamwork did that" types of questions to Teamwork's support team. I've never had to wait more than 25 minutes for a thorough and thoughtful response. Never! And these are not "we received your message and a support agent will contact you within the next two business days" answers. These are real, custom answers, and often will follow-up questions. In fact, I've had a couple of answers of "sorry, Teamwork doesn't do that right now", only to be followed up a few hours later from someone higher up the ladder asking me "tell us more about why you'd want that feature or your situation is that warrants that". Then, a month or two later, I've actually seen my idea come to fruition in an update, complete with a follow-up email telling me that they appreciate the feedback and have implemented the feature. Teamwork is so flexible that it's sometimes TOO flexible. Our company didn't have a formal method of handling larger projects when we started using Teamwork, so I often was asking "how should we do this" types of questions. But the crew at Teamwork explained that their goal was to create a tool that could work in many different ways, so they didn't support one method over another. It can be a bit of a challenge to teams looking to go beyond the day-to-day tactical "to do list" mentality and move to the higher-view sort of management stuff. Give it a try on one project (you get two included in the free tier). Try it along with what you use today or compare it to similar products. Our Creative Services sub-department was swimming in work and it was clear we needed to become more organized since adding staff was out of the question. Teamwork allowed a more sensible approach than email threads and shared notebooks. Before Teamwork Projects, my association literally routed paper proof in manilla folders still. We made the switch to Teamwork company-wide about 1.5 years ago or so and I cant say enough good things about it. I has really helped organize us and improved communication throughout our association. We had some growing pains making the switch but once everyone was trained, it's been an incredible resource. We heavily rely on it; we don't use all the features but we do use it to completely manage all of our various projects (and there are many going on at any given time). It's not perfect, but nothing is. I wish it would keep me logged in instead of having to log in multiple times per day. I really wish there was more disk space allotted per subscription. We store a LOT of files in the system and I worry about running out of room. Great product, you wont be disappointed! It's made a huge difference in how we operate and manage our projects. Project management is huge for us as an association. Switching from paper to a digital browser-based solution has changed how we operate day-to-day. We are a vehicle wrap company and for the most part, our designers do not work in the office. This program allows our clients to communicate with the designer anywhere in the world and has allowed us to streamline the design process and get our clients on the schedule for install much quicker! There is not much our company does not like about the software. Really, we would just ask for a couple of small changes. For example, we would love it if google calendar would work both ways. When I talked to someone at teamwork about this, they told me they were working on it. All of our issues are resolved quickly and with kindness and professionalism. In summary, no complaints really. Take them up on the free trial and all of the support offered to you! They are always more than happy to help! We love it for the communication improvement throughout our company! But it seems teamwork projects releases a new update almost every week with new and definitely exciting problem solving solutions! The best for me is how easy is to add people to colaborate to the projects, to fill their task in case of our team, or to keep the customers posted on the state of a project and maintain all the comunication in one tool. Documents, spend time, comments (to a coworker or a costumer) in one place and in the Email. Notifications and reminder makes easy to be up to date in our daily tasks. The Review page of a projects shows a lot of info in only one look. I'll improve the link of dependent task. Make it some more intuitive, link drag and drop, and not have to edit all tasks. The licensing by user, y prefer licensing by project. It's easy to use, intuitive for all coworkers. You can join all your team work in one place, and have all documentation, time, in one place. You can teach one coworker in 15 minuts to begin reporting their task and control the spend time in each task without my interaction. With the Gantt view you can easily see or ajust all your tasks in time. Obviously part projects, and we used to have a focus on helpdesk tickets that becomes more complex. Also to control some tasks of our IT's like Documentation or Auditing. I like that Teamwork is well rounded with several ways to work with the team. You can have task lists, boards, or a Gantt chart. In addition, you get to have messages, notebooks, and links which are great ways to share or add notes to remember when you don't want to specifically add them to a task. I like that I can see everything about the task in one place. Time spent, files, notes etc. I have tried several other online services and keep coming back to Teamwork. In the end, it is the most well rounded solution for my needs. I would like a little better visual cues on the task lists. I would love to see a progression bar and the ability to add checklists to tasks (instead of adding a subtask). It can be a bit daunting for clients to log in but I need that level of complexity. It does not work for me to have the simple tasks and activity flow. I think you need to really look at all the different features each project can have. When you work with it you will see that it may have features you don't need and may not have some you want the overall product is really good at creating a good flow for your project. I am a contractor and need to work with different clients a lot. Teamwork helps me stay focused and on task. It also gives me a way to interact with the customer so that there is clear communication and ensures that all the expectations are clear and being met. "A central part of our agency"
I like the fact we can all access it everywhere - not only to keep on top of my own workload but to see what the rest of the team is doing. The integration with other apps and files is fantastic and it makes billing (and client reporting) really easy. Some of the functionality is a bit clunky on the phone app. I think that could be improved because I often find myself using the web version even on a tablet/phone. Communication, planning, sharing of information. It just keeps everyone organised. It's been particularly helpful in managing complex and multi-task projects where clients benefit from access. Being able to give them access so they can contribute has really cut down email traffic and communication errors. Although we don't have employees we have a large network of international sub-contractors and Teamwork has really helped draw everyone together as one project team. "Use Teamwork For Keeping Track of Necessary Tasks and Assigning Tasks Internally"
I like how easy it is to assign tasks to the design team at my company. I also like how I can have a full list of tasks (e.g. for onboarding a client), and can then check them off and assign dates. I dislike how Teamwork is just another platform that I have to use. I wish there was a more integrated system I used at work, instead of having to use a combination of 10 different platforms or so. This can be a really useful internal tool at a company. I'd recommend it for keeping on top of projects and tasks. We assign design briefs to our design team. This easily lets us get the landing pages and other things that we need for our clients. I also like how I can easily put in full task lists for a client or project. This lets me keep track of everything I need to do. I love that with Teamwork, my team can work 100% remote and still work together the way we would if we were in the office. It forces those who do not organize to organize better, and as someone who over-organizes, it takes the stress of my job away, knowing my to-do list is always up-to-date. The customer service at Teamwork is also incredible. If Teamwork goes down, which it does sometimes, they are on it like a hawk on a mouse, incredibly fast. Sometimes features get launched, but don't work correctly. However, again, the customer service is on top of their game and get things done. There are definitely a lot of features and sometimes that can be a downside, as when the platform upgrades, there's a certain learning curve that isn't necessarily helpful. Specifically, Board View doesn't work correctly. I saved a board view template to My Boards and went to go add it to other clients profiles and the boards would not load, so I had to add them all manually, which was time-consuming. I don't like that you have to be an admin to add boards either, as our teammembers are in charge of different clients that our admins don't even touch ever. As stated above, our team is almost 100% remote, so having something that connects us so well that we barely need to converse is great. There's never phone calls and barely ever any emails between team members. Also, the amount of time I don't use to organize my thoughts, tasks, etc. is fantastic! Maybe 1-2 hours per week spent adding/organizing tasks, as opposed to 1-2 hours per day with no organization platform. "I use this for my clients, and I train my students to use it as well!" 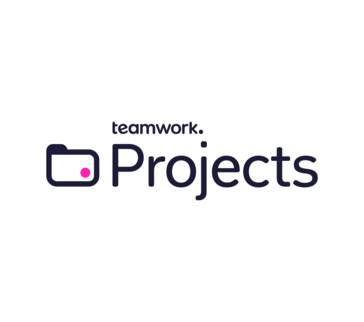 Teamwork Projects helps you manage your business projects and client business projects, giving you complete control over every part of the project management process. I can communicate with my team directly at the source of each asset. It's become my go-to virtual office for the teams I work with. It's robust and offers far more than any other project management I've used. Once you learn the system, it's fairly simple to use. However, it does have quite a learning curve for newbies and seasoned project managers and team members alike. There are a lot of options within Teamwork to get the most out of the tool, but it can feel overwhelming to those who are not used to it. Teamwork has LOADS of tutorial videos that make the learning process a lot easier than trying to DIY your setup. I highly recommend checking out their knowledge base and YouTube channel for help. Teamwork Projects helps me manage all of my business and client projects in a way that allows me to continuously have a finger on the pulse of the projects I manage. It provides an excellent place for team communication and task management, eliminating the need for third-party apps like Slack, customer ticketing systems, invoicing, and more. It's the all-in-one source of business management. LOVE it. "Great project management software to keep you organized and manage your team effectively"
I really like the way Teamwork is organized. Teamwork allows the capability of filtering tasks by project, owner, task list, date(s) etc. The filtering comes in handy when managing team members and needing clarity on what they're working on at any given moment. The phone app is also really nice because you can add tasks on the fly, away from your computer. At first glance, the system can be a bit over overwhelming to learn. One of my team members took a bit longer to understand its organization and when to add a task list vs. a task, etc. Once we got over that hurdle though, we seem to be utilizing it fine. Integrate the internal chat feature right on the site, instead of in a separate program. Role clarity, efficiency in the workplace and accurate prioritization of projects/work. "Teamwork Helps Me Run My Business"
I love using Teamwork, it keeps me on task and enables me to take care of my clients and all of the tasks they assign me in a timely manner and they can track what I am doing. I really love being able to email them from each task with questions, updates, etc. I wish more of my clients would use their access to my Teamwork instead of individual emails. To me there are NO CONS to Teamwork, it is PERFECT! If you are running a service/task based business, Teamwork is for you. If you need to manage projects, Teamwork is for you! If you have a Team to manage, Teamwork is for you! When my clients respond to my comments from within my Teamwork tasks, it is so awesome, it saves many emails back and forth! "The most features in a single project management products"
Having the flexibility to track many different types of projects in the same place, and having all communication history available to look back on. Great for tasks and team to-do lists, but also has board view with columns and cards. There are so many features to cater to all types of project management situations, which made it a little overwhelming at first and took us a while to figure out how to utilize the features that matched our business. 90% of our communication goes through teamwork, and having one central location for all that information has been a huge help. Every task is ensured a follow up before being closed. The notebooks feature has also provided us with a great place to create documentation for all users to reference that is specific to our business processes. "Teamwork Projects for Project Management "
I love Teamwork. The simplicity or creating and assigning tasks is awesome. It makes it easy to work with people both within and outside of your company. The time tracking and task breakdown features are awesome. It's a really great product for managing virtual teams. Their tagging features make it easy to categorize and sort by project types. There is not much I dislike about Teamwork. It can seem like it lacks structure when your are first starting out using it. The reporting is very limited and their chat feature could be built out more, but the main offering is pretty solid. Go through the getting started guides when you first start using it, don't assume you can figure out all the nuances on your own. Teamwork is pretty robust and it can do a lot of things that may not be super obvious on first glance. We use Teamwork Projects specifically to manage projects completed by external contractors. Teamwork makes it easy to create projects, communicate tasks and pertinent information, and houses all of the projects associated documents, code, etc. in one place. We're able to keep track of time spent to better understand budgets and are able to keep track of all of our remote contractors easily. Utilization of the tasks, lists, and milestones to keep everyone up-to-date. We also find it helpful to assign tasks to individuals, instead of a group, to ensure people know what is expected of them and the timeline. We are in it daily, but members of the team have found it overwhelming to catch-up after missing a few days or after a vacation period. It usually takes a few hours to get caught back up depending on the person. Easy navigation and pleasing UI compared to similiar offerings. Increased accountability of team members assigned to certain action items to keep our projects progressing against our timelines. Elimination of email exchanges and setting realistic expectations and priorities on projects. This keeps everyone focused and ready to tackle their action items. "Teamwork is the best bang for your buck in Project Management Tools"
The number of features available at the cost. Managing different types of projects is tedious since templates cannot be assigned to a category. Great product if you are looking for something with all the features you need at an affordable price. Excellent support team if you have questions or have feedback. Teamwork allows us flexibility to create and manage projects intuitively. The pricing structure allows us to add 'collaborators' who do not cost (clients, freelancers etc.) which is nice. Tasks can be viewed in a gantt chart list or board view which is a dream for project managers. It also allows us to view workload across all employees over a period of time and see all our project milestones in a chart or calendar view. "Great PM software, simple, yet robust!" Templated task lists are what sold us on it. The API is simple and we use it a lot to add TeamWork metrics to our data warehouse/centralized reporting. Templatable board column settings (triggers), Templated Milestones, Templated task privacy. Ability to turn off auto-assignment of subtasks when the parent task is assigned to someone (would help keep their everything page clean). Use it! It's worth it. We're able to invite our client's users and our teams as needed without additional cost so it's perfect place for centralized tasks and communication. Makes it easy for new team members to come up to speed. Standardization of business processes. We've been able to reduce management because we knew our employees were following the step-by-step templated guide. Love the function and flow of this program! We are able to communicate through the application and we are able to keep track of our deadlines. I love the feature where we can track our hours! If your company charges based off hours, this is a plus! You should definitely try out the free trial and see what you're missing. That is what our company did and we were happy to continue with the program. This is a great program to use! It helps your agency or team flow better and keeps track of projects that are currently in the works or projects that are in the past! There are many functions that Teamwork offers and it is definitely worth trying, even for the free trial! Test it out and see what you're missing! We are able to keep track of all of our projects and deadlines! We are an agency with MANY clients and it can be difficult trying to find a program that everyone can use easily and functionally. "a difficult start with teamwor that little by little improved until having good results"
Simple yet powerful. All of our users, both internal and external were able to get up and running with zero explanation. It is one of those unique applications which have all of the power you need, but somehow manage to remain intuitive and easy to use. There isn't much to dislike, but if I could add a wish, I would like the calendar to be a more integrated and interactive piece of the project mgmt. capabilities of the system. Sign up for a demo and use it for a real project. You will see very quickly how easy it is to get started and use, as well as if it meets your PM requirements. Both internal projects as well as projects we manage with customers. Generally they are custom development projects for our software applications. "Robust and feature rich, but poor support and unwieldy"
From a user perspective, someone who was assigned and worked tasks in Teamwork Projects, I found it to be feature rich and easy to communicate back and forth between users on tasks. The email response feature was super helpful, and basic navigation to my own tasks was easy enough, though beyond that it was difficult to know where to go for what. The web app as a whole was somewhat unwieldy and difficult to use. Part of this is down to UI/UX, which steers users to do certain things, and it steered my project managers to throwing everything into a giant text blurb, assigning a due date, and that was it. That's part to blame on design and part to blame on the project managers. It just overall seems like a lot of the features are hard to quickly pick up on, especially for non-techies, and that made it less useful to the development teams. This was in place before I started working with the company. As a freelance contractor, I understood the application to be their entire repository of work to be done by everyone. This was helpful to everyone because we knew what everyone was working on and could view history of work done, as well as comments and discussions. "Teamwork is powerful but way too heavy"
The breadth of tools. That Teamwork uses Markdown very widely. The Notebook functionality. How top heavy Teamwork is and how one has to add a category to everything including uploads (would it not be possible just to add the category of the message?!). Most of all I hate how my browser and computer is crippled once I get five Teamwork Projects or Teamwork Desk windows open. If you can stand the heavy slow feel and endless memory consumed, Teamwork is a powerful suite. Personally I like fast lightweight software. Teamwork isn't it. Basecamp uses about one quarter the memory for each open tab but I'd like to find some software which is not hosted in the USA (Patriot Act style forced spying on users whether or not the SAAS agrees with those policies or not). I'm sure David and Jason at Basecamp would disagree with complying with a National Security Letter without notification but they are forced to do whatever the US three letter agencies demand, like it or not. Teamwork does everything. Messages, tasks, time logging, export to Freshbooks (billing), chat. Unfortunately that's it's downfall. Teamwork is code heavy and takes up gigabytes and gigabytes of memory to run in the browser. Teamwork can be used in so many ways. Regardless of whether you're intuitive or analytical, it has functions for multiple types of learners and you can organize just about any project in a number of ways. I wish that Teamwork would integrate more completely with Google drive and that it functioned faster in Safari. There seem to be some bugs with link sensitivity in Safari. This has been a real game-changer for our business. Productivity with the team has improved and clients are being held accountable for the tasks that they need to get done. We are trying to keep our internal team and our clients on track with their projects. It is simple enough that our clients can get in and use it without confusion and the ability to lock them out of certain functions is incredibly helpful. It is also robust enough that we can track, organize and manage projects in a variety of ways for our team. "Teamwork Projects is the best PM tool we've found in over 10 years." All the features we need for a project management system in one package. Great support, great pricing, regular updates. We've been happy customers for several years. While I don't have a better idea or recommendation, the ajax-loading on very long message threads sometimes causes some problems. Then again, we're the ones making these giant long threads so it doesn't seem fair to fault the application. Give it a shot, it's the best project management platform we've found to date. Staying organized and keeping everyone on our team in the loop across multiple projects for multiple clients, including task breakdowns, time logging, integration with teamwork desk, plus collaborating with other vendors in a single place. Teamwork Projects has the most robust, flexible, scalable project management platform which far exceeds its competitors. It can be used for 1:1 simple projects with few tasks up to enterprise level with multiple teams and departments. I even use it with my kids for them to check off their daily and weekly chores! Customer service is top notch and I don't have to worry about accessibility to important, crucial and confidential project data. Like many growing companies, Teamwork seems to have gotten away from the things that made them appealing in the first place. Affordability is the biggest complaint with the pricing restructure. TW will no longer have a viable business model or subscription available for small business with remote team members and definitely not for solo entrepreneurs. As always, do your market research to determine which platform is best for you and your team based on feature options and budget. Once you decide on a platform, stick with it to ensure that productivity isn't lost in taking time to learn multiple systems. Teamwork Projects is scalable from the solo entrepreneur up to the corporate enterprise level. Teamwork allows me, as a project manager, to keep track of all project correspondence, related files, SOPs, and tasks in one place. Billing is fairly straight forward and tasks are easy to track time against. I can easily locate past conversations and completion times and dates when projects sit idle and start back up again. "Best Project Management Software - intuitive design, master utility, hear of customers petitions." Teamwork Projects let us capture all time done on each projects to know if we are really earing income and monitorize if not to take crucial decisions on the road. The design is very intuitive to make any function we want. Teamwork support are nice and fast, also they hear for petitions to realease on road map. I have ask for 3 functionalitys needed like filters of times, better reporting, multi time capturing. This software is very essential on my operative tasks. Package pricing jumps are very practical too depending of the needs you have. They constantly create support product videos of what is new. On early packages there is a reduced quota space for projects but you can compensate it with the integrations. The software seems to be popular just in Europe, so there are a few third party apps who have developed something connected to Teamwork but it have access to the API and webhooks to compensate. Its a very complete tool to manage your projects and get the information of each project very quick. Put a big eye on the time tracking, is the best function as a base to part of multiple information & decisions. We put high order on project development to monitorizing the time spend one each project and integrates all team to have a better communication on the main and specific topic segmented. All are well coordinated with this tool so we can measure evrything: people, income, time spent, resources, process, status wich let us have the possibility to improve or omptimize what we need. Quick and reliable Kanban view. Very nice way to filter tasks, especially per comments. So as an administrator and as regular users, it becomes very easy to set up and use the different tasks. Teams can be easily separated and managed in each project. In addition, filtered and customized notifications make my life easier. And its integration with Zapier too! woohoo! I am still not a big fan of the mobile application. It needs major improvements. Onboarding was a bit of a hassle in the beginning. It took me some time to figure out the best way to onboard my team. It would've been nice to suggest a series of email that can help the team get onboarded. I had to create my own series of emails to onboard the team. As you implement Teamwork Projects, do not enable all the features at once. Take some time with onboarding your people. I have a remote team spread across multiple time zones. We needed a tool that allows us to create tasks in a kanban style while maintaining a good grasp to follow up through time zones. Teamwork.com helped us diminish our emails usage. At this stage, the team knows how to use the tool. We might not be using it to its full capacity yet. But we continue to enhance our daily usage to it. Mainly because the team needs continuous education on how to use Teamwork Projects. I love that you can have 50 conversations going on at once, and keep track easily by going into specific tasks and subtasks. I like that you can zoom in on details, or zoom out for the big picture. I love not having to search for emails ever. I would like to be able to edit comments in the app. The app needs a little more functionality. I honestly don't think my business would exist without Teamwork. It's enabled me to have contractors all over the world, be in communication with all of them about multiple tasks and never waste time searching through emails or files. I love the fact that it lets you zoom out to see tasklists, or zoom in to see subtasks if you want more detail; and that emails become comments attached to specific subtasks so I have a history of all discussions. I am a solopreneur with about 35 contractors doing various things at any one time. I am able to have clear, personal communication with each of them, I can track the history of any topic, and I can have multiple small tasks happening at once with each without anyone getting confused. "Teamwork Projects Has Helped Streamline and Organize Our Business"
We really like the customizability of tasks and subtasks, but the task templates have been a great time saver and made a huge difference in productivity. Some features are still difficult to use, at least for some of our less technically savvy employees. While I find the interface easy to navigate and understand, some are overwhelmed by the options available and have trouble following complex tasklists with specific processes. I suspect this is more of a problem in our company and setup than in others. Depending on your business, setup can be very quick and very easy, or fairly complex. That being said, it's easy to know what to do in getting this set up. We've organized our workloads and made big strides in keeping track of which employees and contractors are doing what and when. The visibility of the dashboard is a big help in keeping track of workloads. "Teamwork offers the ability for your team to focus clearly on your process." I'm OCD by nature so I love having my tasks organized and easily view-able. Being able to check off an item on the task list definitely adds a certain feeling of accomplishment to the beginning parts of the processes that helps motivate the team to complete the project. The most difficult part of Teamwork has been getting others to use it correctly. It's easy for people to misunderstand name things incorrectly or inconsistently. It takes effort to make sure that everyone is on the same page when it comes to how you work as a team. If you are tired of wasting time going back and forth on "progress emails" and miscommunications then Teamwork is the tool for you. I recommend investing the time up front so that you can take advantage of all the special features they offer to make projects enjoyable. Teamwork allows us to skip the cumbersome "update" emails and meetings on projects. We are easily able to see progress and timelines as well as workload and forecasting. "Best Cloud based Project Management Solution!" We can organise all our projects, messages, docs, tasks in one place. Our team all work from home, Teamwork lets us share and manage the business easily. TW has become the core tool for our business. We are very happy with it. It's very reliable and we trust it with all our content. The pricing is very fair for our needs. Some times the dashboard can seem difficult to locate information. Would be good to have a favourite section or personalised dashboard area. Uploading images some times look like they have uploaded but then don't show for other users. Managing tasks can some times be a bit slow to react when there are many of them. The Gnatt charts are great but the controls can be a bit tricky at times. Teamwork Projects is where our company manages all it's projects and daily communications. It's become invaluable to how we now operate. We develop software apps. We're able to setup projects with the teams (both internal and external) and then track and manage the projects with ease. Everything is in one reliable place and no date is lost. TW really helps us manage and organise far better than before. "Great project management tool for every business"
I love the way it manages tasks in detail and deals with every kind of project management philosophy (scrum board / gantt... ). It then offers powerful tools for time tracking and invoicing so it is really powerful for every kind of use (from web agency to simple project management). Love working with this tool. A lot. There's really a little that I dislike.. mainly the new pricing plan: I was an early adopter and they offered me to mantain my pricing plan for two / three years (good) but the new one is quite pricy for my needs. Sometimes (1 / 3 times per year) we got our service interrupted because of technical problems but the support team resolved my issue very quickly. This kind of errors shouldn't happen, though. It is a very useful product and very versatile. It could be integrated with their help desk platform or via API with another service. I manage digital products creation and maintenance for a mid size company. We are a small internal team but we often manage our products via external contractors and Teamwork projects does the job well. With teamwork project we are able to track every little bit of our projects and help us keep the whole team on track easily. There's also a part of our team that is managing ebook creation flow and they leverage task templates. Very handy tool and i love it. "Easy to learn, flexible and complete"
That different projects can be handled differently - some need the time tracking option, so we turn that on for those projects. Others prefer the Kanban-style task board to a task list, so we can enable that for exactly the projects that need it. We've only just begun to use the time-tracking feature, but I can see that being a big help during our Project Review phase. Keeping track of who gets notified on each action can be annoying, but that's more of a personal problem. If you are not a 'computer person', do not be afraid of jumping into Teamwork Projects. I work with several people who were convinced that they wouldn't 'get' Teamwork Projects, but they ended up using it pretty easily. I'm able to keep track of a multi-layered web strategy with the task boards and projects. Also, it allows my boss to see exactly where the project is at all times. "Best project management system I've ever used"
Simple and logical and yet very powerful. It has every feature you'd ever need in a project management software but they do such a great job making the interface super user-friendly so even my not so tech savvy clients can use it with ease. I've used Basecamp, Trello, Activecollab and hands down Teamworks blows them all out of the water. I really don't have any complaints, it's just about perfect for us. There are maybe one or two small features I'd like to see like setting vacation responder for users but they are constantly innovating and releasing new features. I highly recommend Teamwork, you will not be disappointed. It's been exactly what we were looking for. We are a web development company and we use Teamwork to manage all of our client and internal projects. It provides streamlined and consistent client communication and tracking project progress and tasks. It is an integral part of our workflow. "Perfect for managing a small marketing agency's work"
Easy to use interface that allows for as much or as little customization as needed. Sometimes we keep it simply, other times we go complex, with dependent tasks, timelines, notes, etc. Also super great that it integrates well with Quickbooks online for billing. Honestly, I wish I had a bit more flexibility with what information is exported to Quickbooks, for instance, oftentimes I'd like to lose the date that's automatically added to the text field for the description of work done against a task or logged independently as a time charge against a project. But overall, I very much like the system. Make sure your entire team has buy-in, and that you create your processes to take full advantage of the platform. We're a small marketing firm, and we transitioned to Teamwork a few years ago after our own homemade HTML solutions became too outdated and our accounting software changed. Teamwork PM was selected because it integrated with Quickbooks, and we've grown to love a lot of the additional features of the system since. "The right mix of Features vs Complexity"
I tried multiple systems before choosing Teamwork. On one end of the spectrum there are systems like Wunderlist that are simple to use but have few features, on the other end of the spectrum are systems like Clarizen, that I found really comprehensive, but had too much of a learning curve to use with new clients on a project-by-project basis. To my mind Teamwork has made the right tradeoffs between features and complexity. No system ever has 100% of the features that you need. But Teamwork has covered off most of the bases, and I can usually figure out how to shoe-horn in some things that I need. Nevertheless there are a couple of things that I've had to utilise the teamwork API to make bespoke systems. Also, I'd love them to add burn-down charts to complement the recently-added Kanban boards. I manage a wide range of IT projects. Teamwork is the primary method by which my clients can understand requirements, monitor the progress of projects, and collaborate with my team. "It's got everything, for an agency"
I love that all tasks are organized by project, and projects are organized by company. This matches real world scenarios which helps things stay more organized. Billing. The billing feature is archaic at best. Each invoice line items is a time entry. There's no way to have a task per line item. Or even a project per line item (for clients who we work on multiple projects with). Compared to my previous billing platform, I'm spending 5x as much time to send invoices out each month. There's A LOT of features. Start simple. The biggest WIN with Teamwork Projects for us is having a "single source of truth" for projects. In other platforms, we would be using 2-3 apps to manage a client (one for tasks, one for files, one for time tracking). But with Teamwork it's all right there. For example, we use the Notebook feature to record meeting notes - so the entire team can see. We're able to keep the entire team on track better with Teamwork. In summary, project communication is much better. I like the ease of use and how it is organized./setup. It is really simple to go in log time, track time, keep everyone up to date and on course to meet their particular deadlines. The Notify by email option and dependencies are some of my favorite tools as well as it holds people accountable and nobody can say they didn't get something because it is in TW as well as in their e-mail. One of the biggest pain points for us is not having the ability to put due dates or start dates by the hour. so much of our business comes down to things going right up to deadline and not having that ability really throws it off as something due on 2/6 by 10am is a lot different then end of the day on 2/6. It has helped us to keep track of how much time and resources we are spending on any given company as well as any given project, which has been crucial in making informed decisions on where to put our resources. "Teamwork, the most organized project management software I've used yet." How easy it is to track a large number of projects at a time. I'm a photographer, so I have 80 clients at a time. Also, I love how this service offers so many different uses for templates. I don't like how there are a lot more limitations for people who aren't site owners. Admins don't have access to as many settings. Teamwork was a great change of pace for us because we can track all the minor details about each photography client, as well as make sure all projects are due on time. The ability to track completed, archives, and late projects have been a huge help in prioritizing our workflow. "Automation of Projects and Tasks, just a click away"
Teamwork is a very easy platform for project management. You can almost from day one begin managing your projects, task lists, tasks and people from the platform with little to no experience at all of the application, which is Cloud-based too, so it's quite accessible everywhere an Internet connection is available (and via its mobile apps, in Android and iOS). It can also integrate with several othehr solutions, such as cloud storage, accounting, marketing, scheduling and even embed it into your own website. You can begin using Teamwork Projects right away. Just create a project, one or more task lists with their tasks, assign people to each one, set up milestones ans tome tracking, and you're done. However, for more advanced functions, such as integration, webhooks, billing and invoicing and reports, Teamwork could be seen not so user-friendly to the uninitiated. Nothing a couple of coaching sessions and research can't solve, though. Teamworks is very flexible and handy for basic and medium Project Management tasks and administration, even covering basic invoicing for postpaid projects or outsourcing engagements. There's a trial for it too, so go for it, test it with your day-to-day tasks, and have your conclusions. If you're manually carrying your PM duties today, you will definitely like Teamwork Projects. We are a services company, which work via projects and professional support services. For us, Teamwork has been essential to keep track of our numerous project initiatives, always promptly notifying us of approaching milestones and deadlines, slow tasks, worked consultant hours and billing to postpaid contracted clients. "Most Flexible and Robust Project Management System — while maintaining simplicity"
What I like the best is the connection Teamwork Team has to the product and their users. There is an active desire to develop and cultivate a product that serves the needs of users—not some ideal utopia. Feature wise, I appreciate the extreme level of customization you have over what you see and where you see it. The User Interface, while improving, is still a bit clunky. I would really appreciate more effort put into staffing the interface design portion of the team. This is meant for team collaboration. there are better tools out there for individual collaboration. I would recommend for a team of 3 or more. We wanted to see all of our projects sorted by project type OR client in the same workspace... Teamwork provided the level of hierarchy we needed to achieve ether—and it's easy to go back and forth from each view. "Teamwork can be complex, but keeps everything in one place!" Teamwork lets you be extremely organized, with subtasks, swimlanes, tags, and more. You can add so much to your projects and issues so that you can sort, filter, and search for things in your project. If you don't add all of the metadata to your project, things can be hard to find, and I think the way that filtering handles tasks with assigned subtasks is poor and can make subtasks harder to find and easier to miss. There is definitely a bit of a learning curve, especially if you are used to a much simpler interface like Github. There are so many different types of project management software out there, so definitely evaluate your needs before choosing. If you need to store a large amount of information and make it available to developers, PMs, and stakeholders, as well as allowing people to collaborate, Teamwork might be a good product for you! We have a good sized team using teamwork for a large amount of projects, and many projects also have clients using the software as well, which is helpful. Our projects managers are able to put in as much information as possible and we keep all of our collaborations in one place, so Teamwork is our canonical source for information. * We monitor all Teamwork Projects reviews to prevent fraudulent reviews and keep review quality high. We do not post reviews by company employees or direct competitors. Validated reviews require the user to submit a screenshot of the product containing their user ID, in order to verify a user is an actual user of the product. Hi there! Are you looking to implement a solution like Teamwork Projects?